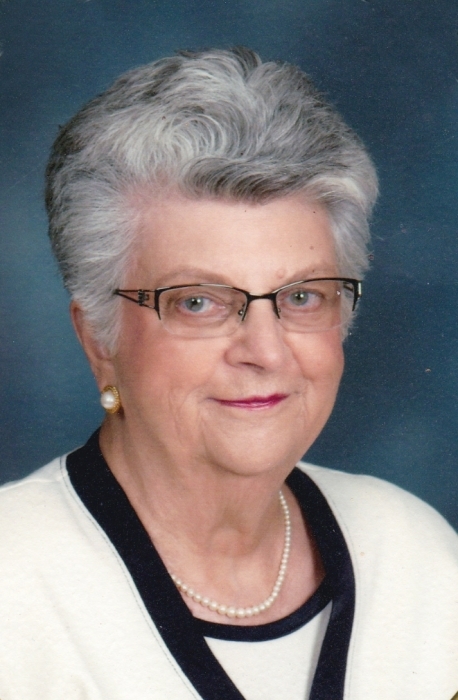 Betty Jane Telle age 94, died Saturday, March 30, 2019 at St. Luke's Hospital in Lees Summit Missouri following a brief illness. Born December 16, 1924 in Dennison, Ohio to Frederick and Florence (Wilson) Richardson, she had been a Shelby resident since 1970. Betty was a 1942 graduate of Dennison High School, and had worked as a Bank Teller at the Shelby Building and Loan. She was a member of the Presbyterian Church serving as Deacon and treasurer for over 20 years. Betty had enjoyed volunteering, especially with meals on wheels. Betty is survived by her daughter April Ann (Telle) Smith of Blue Springs, MO; four grandchildren Caitlyn, Sydney, Emma and Duncan Smith; one brother-in-law William Carlisle of Wainwright, OH; two nephews David Mosher and Steve Carlisle; one niece Christina Wood; two great nieces and one great nephew. In addition to her parents, she was preceded in death by her husband Lester E. Telle; three sisters Helen Patterson, Isabelle Baer; Martha Carlisle and two brothers Robert Richardson, Donald Richardson. Calling hours will be held Sunday, April 28, 2019 at the First Presbyterian Church at 24 N Gamble St, Shelby, OH 44875 from 2:00 to 4:00 PM. Funeral services will not be observed. A burial will be held at a later date at Union Cemetery in Uhrichsville, OH. In place of flowers, the family requests that memorial contributions be made in the form of donation to the Shelby Helpline Ministries at 29 1/2 Walnut St, Shelby, OH 44875. There's still time to send flowers to the Visitation at the First Presbyterian Church from 2:00 PM to 4:00 PM on April 28, 2019.